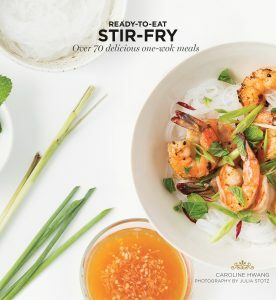 ‘Ready-To-Eat Stir-Fry: Over 70 delicious one-wok meals,’ by Caroline Hwang, photographs by Julia Stotz. Hardie Grant Books, $19.99. Using a recipe to make stir-fry, to me, seemed to defeat the purpose of stir-fry. My method always has been to grab all of the remotely Asian spices and sauces in my pantry and add them in somewhat indiscriminate amounts to a mix of meat and vegetables in a pan, tasting and adjusting – usually to make up for an accidental heavy hand with soy sauce or sesame oil – until it’s, well, edible. Because that’s the thing: Along the lines of how even bad pizza tastes good because it’s still cheese and sauce and bread, stir-fry is almost impossible to mess up enough that’s not still pretty good. What I found out from “Ready-To-Eat Stir-Fry: Over 70 delicious one-wok meals” is that it also can be really good. At first glance, the seemingly simple recipes in “Ready-To-Eat Stir Fry” all looked very similar, swapping out different proteins and vegetables or noodles for rice – variations that hardly seemed to require an entire book to spell out. But the clean design and short ingredient lists are somewhat deceptive. Almost all of the recipes call for one of a handful of base sauces, the recipes for which are at the beginning of the cookbook and vary in terms of length of the ingredients – and likelihood that I would have a future use for them. In full disclosure, that was my primary consideration in deciding which recipe to try first. 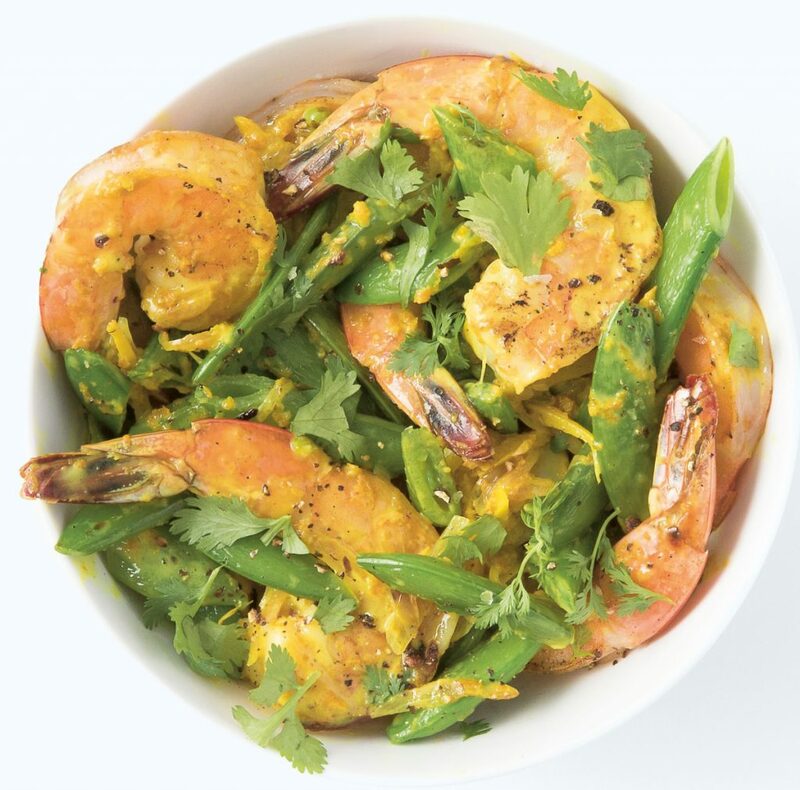 Prawn & Sugar Snap Peas called for the Coconut Base Sauce, which is just coconut milk, sugar and fish sauce – all things I already had on hand. What I didn’t have hand, and had never cooked with before, was coconut oil and am now to be a proud owner of it. I tried one of the shrimp after sautéing it, along with shallot and ginger, in the coconut oil and was tempted to stop right there, skip the rest of the recipe, and just eat the rest. But then there was the possibility that it would get even better from there, and it did. The sauce ended up being more a coating for the shrimp and vegetables than something to sop up, and the turmeric served as a nice way to cut the sweetness from the coconut milk and sugar, making a stir-fry that tasted nothing like the one I always make, as I suspect the other 69 do too. Heat 1 tablespoon of oil in a wok, add the shallots and ginger and cook for 2 minutes until fragrant. Add the prawns and stir-fry for 3-5 minutes until cooked through. Set aside. Add the remaining 1 tablespoon oil to the wok and the sugar snap peas and cook for 2 minutes. Add the remaining ingredients and stir-fry for 2 minutes. Divide between 2 bowls and garnish with coriander. Combine the coconut milk and sugar in a small saucepan and warm until the sugar has dissolved. Place in a small container or jar along with the fish sauce and store in the refrigerator up to 2 weeks.